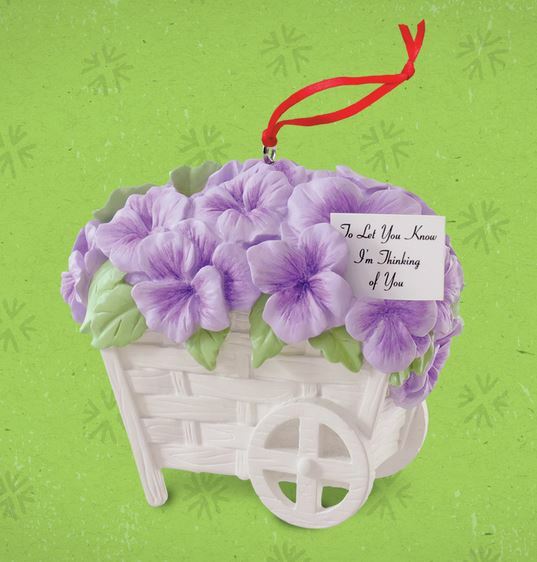 This beautiful cart of pansies is based on the best selling greeting card in Hallmark history. The original watercolor by artist Dorothy Maienschein was first introduced in 1939. The ornament, offered in limited quantities,LOW PRODUCTION, stores rec'd very few. On ornament: "To Let You Know I'm Thinking of You"